Pressure Treated Lumber in the Ornamental Landscape | Wood. It's Real. | Wood. It's Real. If you love flowers and designing colorful gardens filled with texture and aroma, pressure treated wood should be high on your list of useful materials as you create your next outdoor masterpiece. Modern pressure treated lumber is perfectly safe for kids, pets, and even growing edible plants like aromatic herbs, so it’s a great choice for your landscape. Why Use Pressure Treated Wood? It’s Affordable: Edging your beds or building a low retaining wall from landscaping timbers is far more economical that hiring a mason to build a stone or brick wall. It’s Easy to Work With: Wood is a favorite material of weekend warriors for a reason! It’s easy to cut with a standard saw and fasten together with nails or screws, so anyone with basic skills can create a successful DIY project. It’s Durable: Choose pressure treated lumber rated for Ground Contact, and your project will resist rot from water or insect damage for years to come, making it a long-lasting choice in your landscape. The beauty of using wood in the landscape is that it’s a natural material that blends in with all of your plants. The warm, golden tones of Southern Yellow Pine eventually evolve to a darker, more muted tone. If you prefer, you can stain your lumber to match your deck and unify the look of any retaining walls, stairs or edging. When you choose wood to landscape your flower beds, you let your plants be the stars of the show. 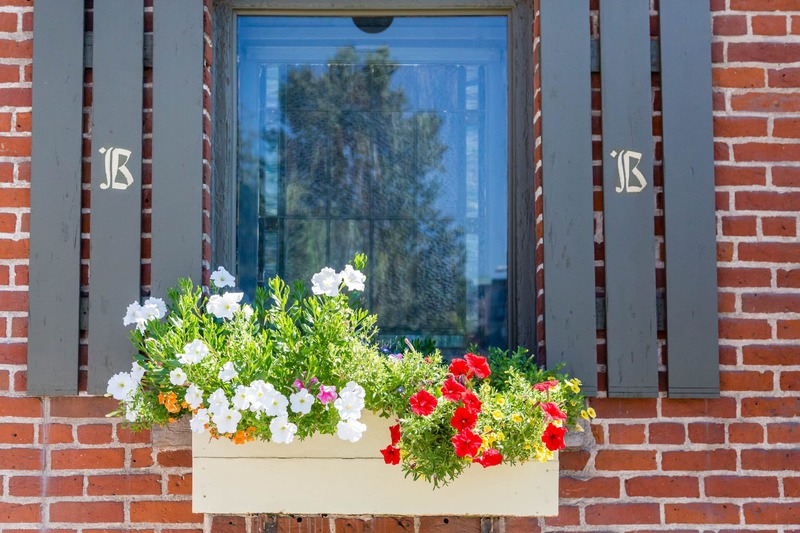 Whimsical Window Boxes: Perfect for creating a display of annual flowers, showy leaves, and trailing vines. 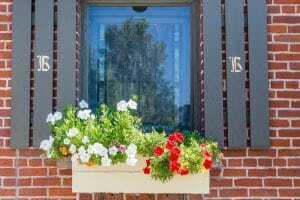 Window boxes made of treated wood can be painted to match your home’s trim. 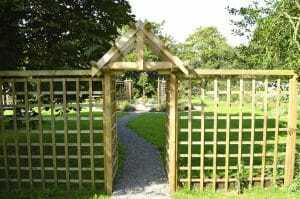 Terrific Trellises: Give climbing roses and ornamental vines the support they need with a DIY garden trellis. Design with your plants in mind — wisteria will need something very sturdy, while morning glory only needs a lattice frame. Beautiful Boardwalks: If you love building decking, why not give your garden paths the same treatment? 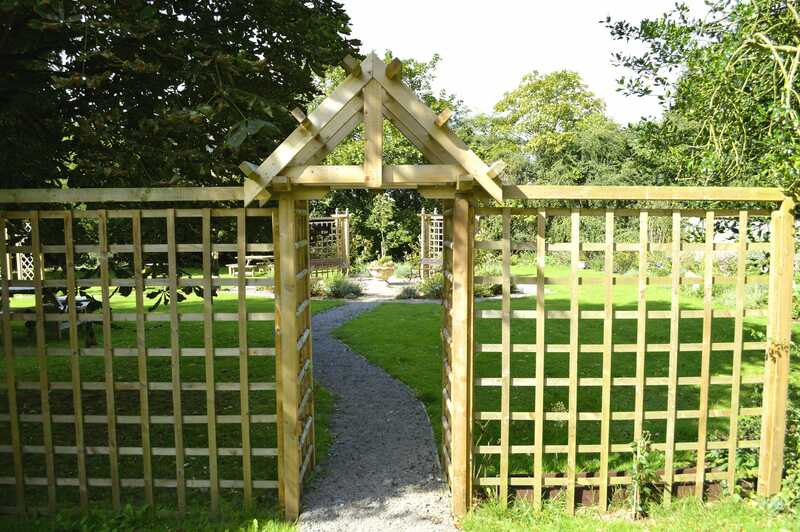 Pressure treated boardwalks are perfect for damp, low-lying areas and are much easier to build than a stone path.